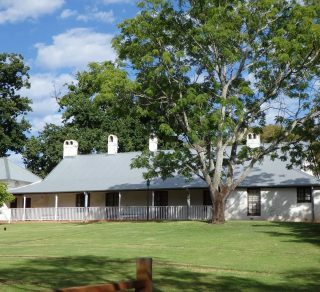 As the site of one of the first farms in the colony and the earliest residence still standing in the metropolitan area, Peninsula Farm offers a unique opportunity to explore the first years of European settlement in Western Australia. Constructed by Joseph Hardey in 1839, it was the third house he had built on Peninsula Farm, a property originally granted to him in 1830. Over the years the house was added to, expanded outwards and upwards. At the same time, the farm became smaller and smaller. Peninsula Farm remained in the Hardey family until 1913. Joseph Hardey, and his son Richard, who took over management of the property in the late 1860s, were highly influential in the religious, business and political activities of the colony. Peninsula Farm, however, tells more than just their stories. It also tells of their wives and daughters, the women and servants who ran the house and the workers who ran the farm. It tells of farming, and how families and the young colony sustained themselves. You can enhance your visit by stopping at the onsite café, Peninsula Tea Gardens, where you can enjoy a coffee or lunch while overlooking the beautiful views of the Swan River. You could also complete your experience by booking into an impressive high tea. To avoid disappointment, we recommend you make a reservation. For more information and to book visit the Peninsula Tea Gardens website: HERE.